Who makes the list of top plus/minus leaders? There’s a trio of Eastern Conference teammates and a Vegas forward who has been as good as gold in 2017-18. Hint: They both play in the Eastern Conference and they both wear the ‘C’ on their sweater. 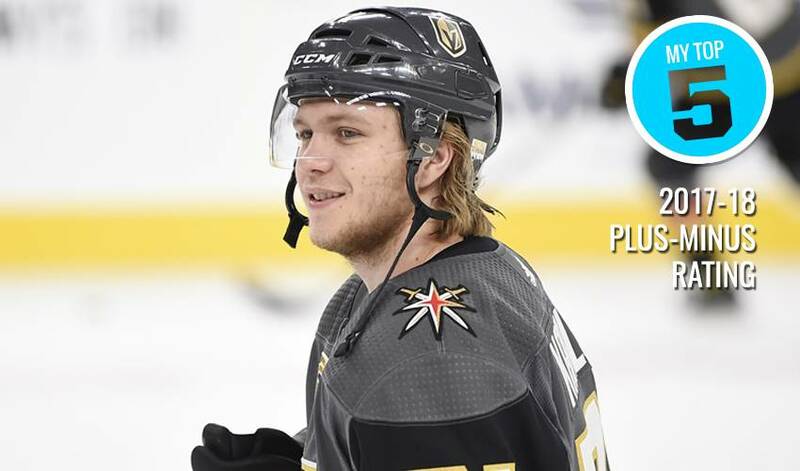 The 25-year-old Swede has been more than just a good Knight story with Vegas. Karlsson, currently on pace to put up 46 goals and 72 points, has five game-winning goals. His 27 tallies are tied for second overall with Nikita Kucherov and Anders Lee. Boston’s imposing blueliner has helped boost the Bruins into the upper echelon of the Eastern Conference standings. The Slovakian veteran, who has a pair of game-winning tallies in 2017-18, is just three games shy of 1,400 for his NHL career. Leading the League in points per game (1.32), Marchand has 50 points on the campaign, including three game-winning goals and seven power-play markers. In 2013-14, the 29-year-old posted a career-best +36 rating. One of the game’s most talented two-way players, Bergeron has once again been a force both offensively and defensively. The centreman, who has 20 goals and 42 points in 42 games in 2017-18, has recorded 14 points on the power-play. Tampa’s towering defenceman has been a major contributor to the Lightning’s impressive regular season, including 27 assists, 77 hits and 58 blocked shots. Currently sidelined with an injury, Hedman is just seven games away from 600 for his NHL career.